It’s time to take out the Thanksgiving leftovers, make a plate of food and sit back and watch some college basketball. Here are 10 questions to consider heading into this weekend’s slate of games. 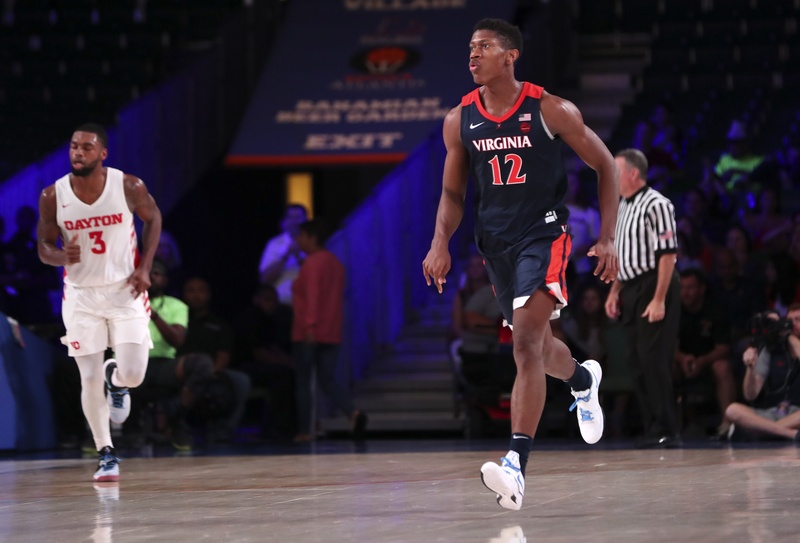 Will Virginia come out on top as Battle 4 Atlantis Champions? (Championship Game, Friday 2 PM EST, ESPN) Tony Bennett’s squad squares off against Wisconsin in a defensive spectacular. This mid-afternoon match-up will likely be slow, physical, and must-see tv. Ethan Happ will test the big men of Virginia. Who will win the Grant Williams/Dedric Lawson matchup? (NIT Tip-Off Final, Tennessee vs. Kansas, Friday 9 PM EST, ESPN2) Both Grant Williams of Tennessee and Dedric Lawson of Kansas have shined through the first few weeks of the season. Each draws more than seven fouls per 40 minutes of action, so they will be tested to defend each another without fouling. 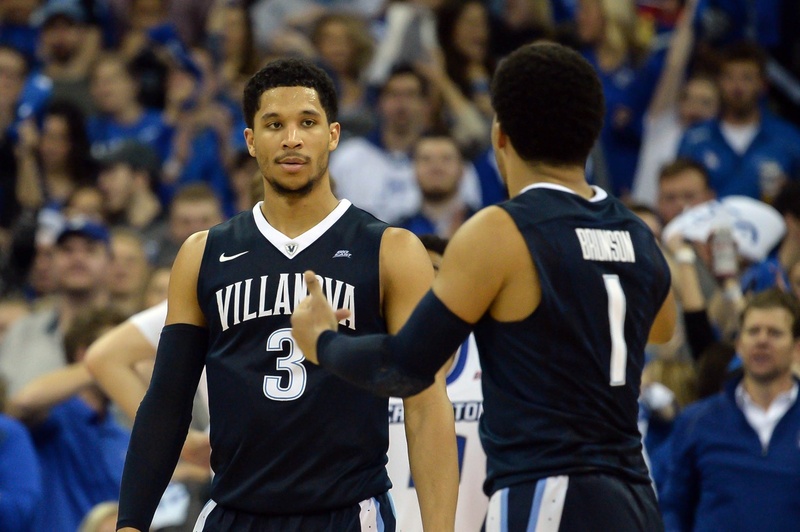 Will Villanova get back to being Villanova? (Advocare Invitational, Friday and Saturday) After losing consecutive games for the first time since the 2012-13 season, Villanova heads to Florida for the Advocare Invitational. Phil Booth and Eric Paschall shot a combined 7-of-31 on three-point attempts in the two recent Wildcat losses. If they get their shots back, Villanova should sail through this bracket; otherwise Jay Wright’s team could be in trouble in a second-round match-up with either Oklahoma State or Memphis. With the season just a few weeks away, Rush the Court’s Big East preview will tip off its coverage by posing season-defining key questions for each team. 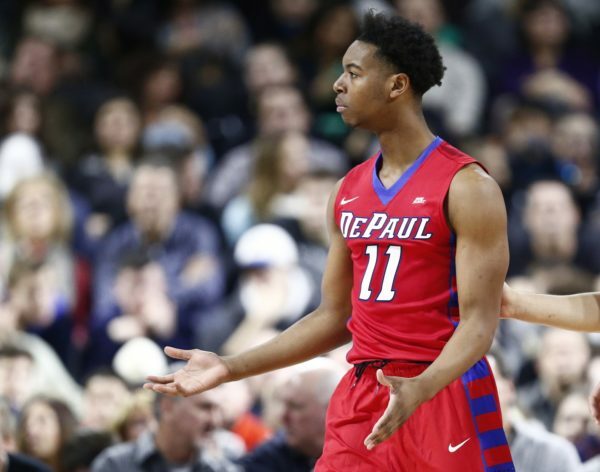 #10 DePaul – Is this the year the Blue Demons finally embrace perimeter-oriented basketball? DePaul hasn’t had a team that finished among the top 100 in three-point shooting in 13 years. That’s right, the last time the Blue Demons posed any sort of perimeter threat was the same year Connecticut’s Emeka Okafor was embarrassing opponents in the post. Last year’s squad had just one player shooting better than 35 percent from deep, and he graduated. 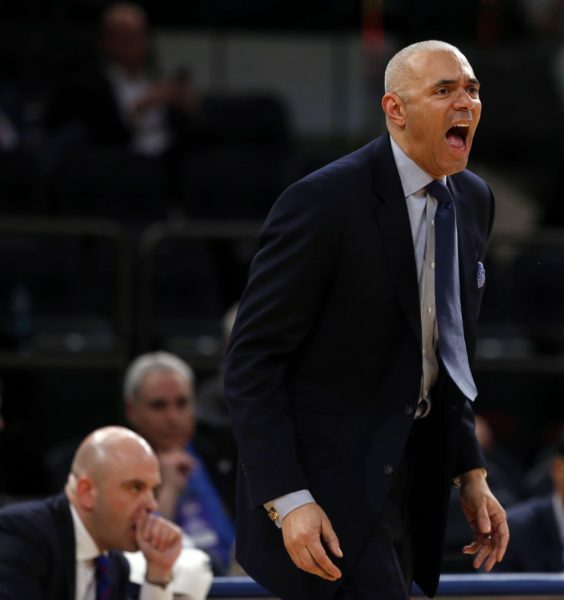 So it should come as no surprise that DePaul has struggled mightily on the offensive end of the floor, relying on a hard-to-watch “free throws and rebounding” offense, to which most teams responded by simply packing the paint. Thankfully help is on the way in the form of a pair of wings who have the potential to reshape the offense. The first is Max Strus, a 6’6″ Division II standout sporting a career 35.7 percent mark from deep. The second is Ohio State transfer Austin Grandstaff, a player who saw little court time with the Buckeyes but was a highly-touted perimeter shooter coming out of high school. Both will see significant minutes on the wing alongside leading scorer Eli Cain. The hope is that these three will provide enough spacing and production for the Blue Demons to run a perimeter-oriented offense. Moreover, 6’10” graduate transfer Marin Maric, the team’s only post player with any real experience, shot 46.9 percent on two-point jumpers last season, which is better than all but one of Dave Leitao‘s players. Big men who can consistently knock down shots out of pick-and-rolls don’t grow on trees. Bottom line here: There is a variety of shooting threats on the roster, so perhaps this is finally the year in which DePaul starts to run an efficient half-court offense. Let’s not go any further than that just yet. #9 Georgetown – Will Patrick Ewing’s legacy at Georgetown carry over to coaching? With conference play just getting under way, it feels like an appropriate time to re-establish a hierarchy within the Big East. Let’s take a look at the first Big East Power Rankings of 2017. #1 Villanova. Forget all the Josh Hart talk for a minute — let’s instead pay tribute to Jalen Brunson, who tallied a career-high 27 points last weekend in Villanova’s biggest test to date at Creighton. With a short seven-man rotation and spotty scoring contributions from a number of those players, the Wildcats had seemed to be over-relying on Hart for their production. But Brunson’s tremendous feel for tempo and timing might be the most under-appreciated facet of the team’s elite offense. A major reason why Villanova won the game was because it successfully slowed the pace down the stretch and reduced the quick outlet passes that Creighton uses to generate high percentage shots. #2 Creighton. It was terrible timing for the Bluejays to log their worst three-point shooting performance of the season against Villanova. Creighton came into the game connecting on a blistering 45 percent of its perimeter shots on the year, but only managed a paltry 6-of-24 outing on Saturday. Off night aside, freshman center Justin Patton continues to build on his stellar play in the non-conference season. The seven-footer notched 18 points on 9-of-12 shooting and gives the Bluejays a consistent scoring threat in the post to complement their numerous outside shooters. #3 Xavier. 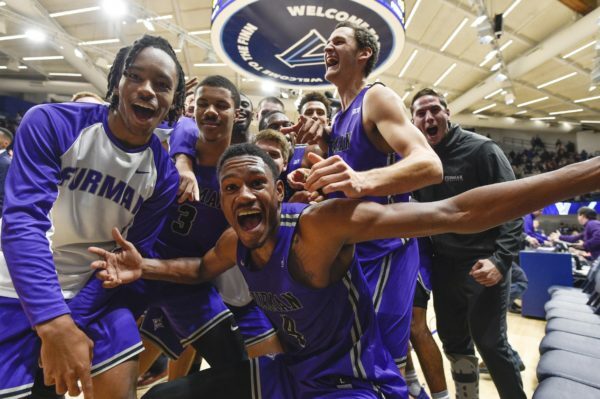 Without the steadying hands of point guard Myles Davis, the Musketeers have experienced a roller coaster of a season. Evaluating Xavier without his presence in the lineup doesn’t do Chris Mack’s team justice. Trevon Bluiett and JP Macura can score in bunches and Edmond Sumner has steadily grown into a sure-handed ball-handler, but the Musketeers need Davis. 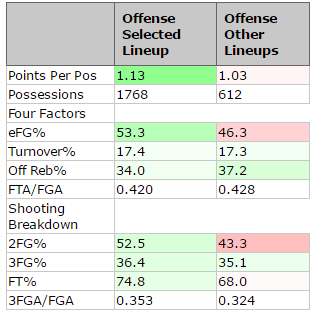 Per HoopLens, no player on Xavier’s roster last year had a bigger offensive impact. His 38 percent shooting from deep undoubtedly spaced the floor, but his more important contributions were in ball movement and facilitation — Xavier’s assist rate is currently the lowest it has been in four seasons. To some degree, the National Collegiate Basketball Hall Of Fame will always live in the shadow of the Naismith Hall of Fame in Springfield, Massachusetts, which celebrates the game at every level around the world. If you were a great pro, chances are you were also great in college, so why not just cover it all in one fell swoop? That thinking ignores the reality that there will always be highly accomplished college players who, for one reason or another, couldn’t replicate their success at the next level, but that doesn’t mean those NCAA careers shouldn’t get their due somewhere. This Hall of Fame serves those players and coaches as well as the lucky few who were fortunate enough to reach the pinnacle of the game at both levels. On Friday night, eight storied inductees joined the ranks among the best collegians ever. Let’s take a look at each. The Bulldogs aren’t exactly relevant right now, but they were even less so until the early 1980s when The Human Highlight Film arrived in Athens and changed everything, if only for a short time. In just three seasons, Wilkins scored 1,688 points — including many in intense, dazzling, electrifying fashion — and won SEC Player of the Year in 1981. 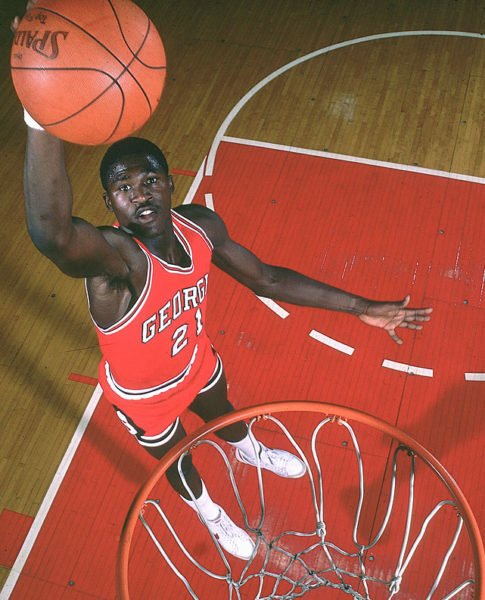 Alhough the Bulldogs didn’t make the NCAA Tournament in any of ‘Nique’s three seasons, he brought enough attention to the program in the eyes of recruits for Georgia to make three appearances by the end of the decade, including a surprising run to the Final Four in 1983. The NCAA Tournament is now behind us and the days of transfers, NBA Draft declarations and coaching moves are upon us. April signals yet another ending, as we tear down everything we knew and build anew. The offseason has a way of inspiring hope that a new season will bring about improvement, that maybe this time things will be different. 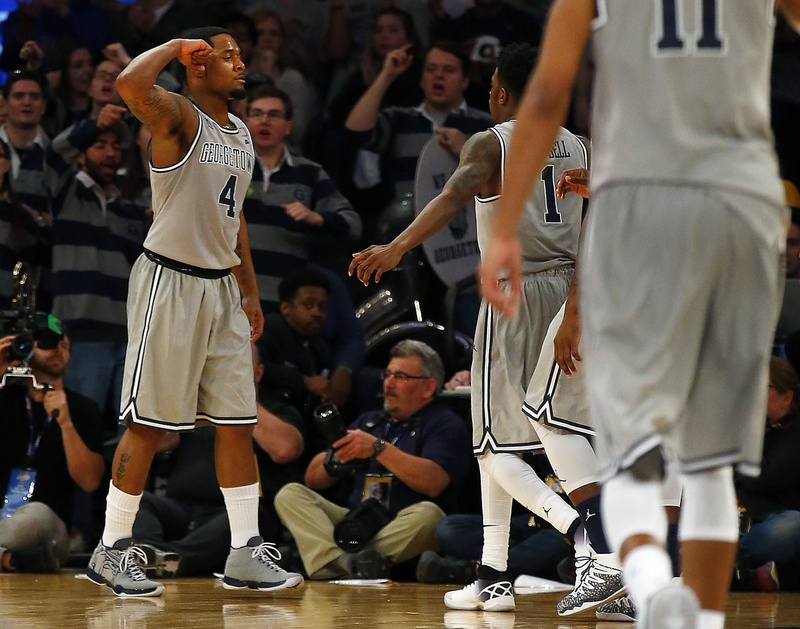 Consider where the Big East’s very own Villanova was just one year ago this spring. That unknown is why the offseason is such an intriguing time. Below is a list of key questions that each Big East team will attempt to solve over the coming six months. 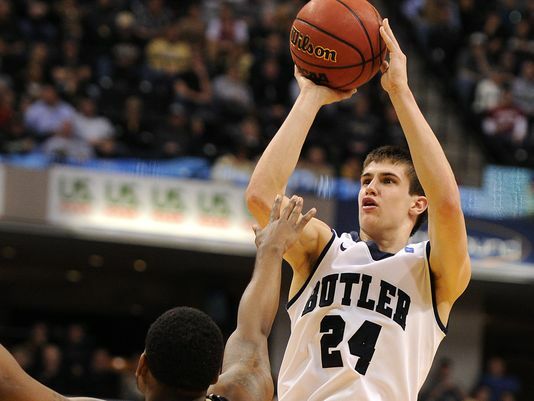 Butler: Who will replace the scoring void left behind by Kellen Dunham and Roosevelt Jones? Butler has appeared in several “way too early” Top 25 rankings with little explanation as to why. The team will lose four of its seven rotation players, with Dunham and Jones having accounted for 38 percent of its scoring output this season. Rising junior hybrid forward Kelan Martin (15.7 PPG) will assume the duty of primary scorer, having already demonstrated an ability to do so numerous times. The question marks come next. Forward Andrew Chrabascz seemingly regressed as the season proceeded, although his potential as a stretch forward within Butler’s offense is intriguing. 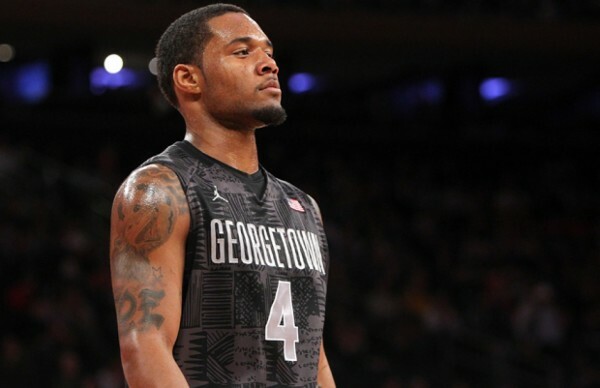 The remaining offensive responsibility will fall on George Washington transfer Kethan Savage and senior Tyler Lewis, with the hope that incoming freshman Joey Brunk can also contribute. It’s probably too little, too late, but don’t tell that to Georgetown. For a team that was projected to finish second in the Big East, this season has not gone according to plan. The Hoyas’ record certainly isn’t good (15-17 overall; 8-11 Big East), but the decidedly downward trajectory of the program is even more alarming for Georgetown fans. Its season-opening loss to Radford was quickly forgotten following a pair of near-wins against Maryland and Duke, and things appeared to be back on track after handling Wisconsin and Syracuse. Those victories turned out to represent false hope, though, as the undoubtedly talented Hoyas’ lineup never got control of things in conference play. The team limped to the finish line by losing nine of its last 10 games, so suffice it to say that the bar was set very low for John Thompson III‘s squad entering this year’s Big East Tournament. The Big East Tournament officially tipped off on Wednesday night with two opening round games in New York City. The first game between Georgetown and DePaul was a tight battle until the second half, when the Hoyas used their 50 percent shooting to pull away for a 70-53 win. The second game featured a wild swing of events, with Marquette relinquishing a 17-point lead over St. John’s before escaping with a win. Here are some quick takeaways for each of the Big East Tourney’s opening day participants. Georgetown (15-17): Senior center Bradley Hayes was back in action after missing six games and the impact was felt almost instantly. Last night’s win was only Georgetown’s second in its last 11 games, but after suffering a number of close losses this season, the Hoyas’ record doesn’t do the team much justice. The key takeaway last night was that, with Hayes back in the lineup and the team facing a season-ending loss, Georgetown finally played with a sense of urgency. The Hoyas’ defense was rock-solid, holding DePaul to just 0.79 points per possession, and D’Vauntes-Smith Rivera put together one of his most efficient games of the season. Things might not be too rosy for Georgetown in its upcoming test against Villanova, but at least John Thompson, III’s squad will head into that game with some confidence. DePaul (9-22): A disappointing end to a disappointing season is the only way to put it for DePaul. The Blue Demons struggled mightily in conference play, collecting just three wins and proving uncompetitive in a number of its losses. The plus-side is that the team loses just one key contributor, with Billy Garrett Jr. presumably returning for his senior season alongside promising freshman guard Eli Cain. If there’s one key takeaway from this season, it’s the unwavering confidence that Cain demonstrated, attacking the basket at will and serving as one of DePaul’s most reliable shooters. 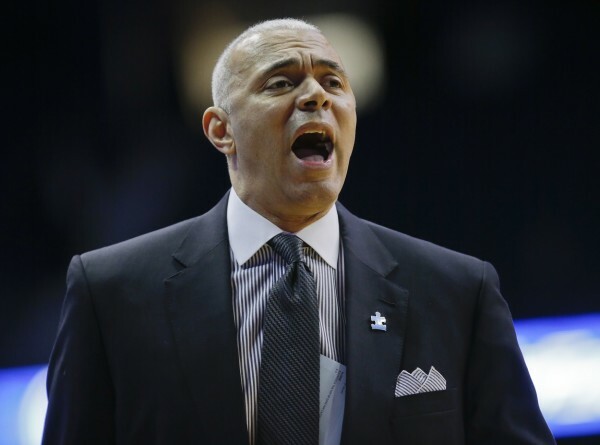 First year head coach Dave Leitao will have plenty to do this summer as he takes a long-term view with his program.